Only one comment to enter! 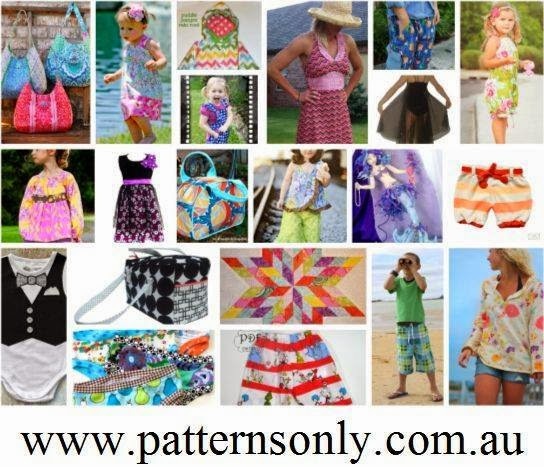 Patterns Only stock a huge selection of PDF ePatterns and paper patterns by all your favourite designers and offer a fabulous rewards points system, so everytime you shop you earn points to use against future orders saving you even more money! Patterns Only is giving one lucky reader the chance to win a $25 voucher to spend on their website. I'm already making quilts to give as Christmas gifts. I will probably do some small things too -- table runners, pouches, totes. I like to have little gifts on hand that I can give when the mood strikes me. 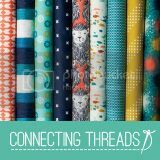 Connecting Threads is a family owned and operated company that sells exclusive collection prints, as well as fabrics from your favorite manufacturers! Find everything from kits, precut bundles, books, tools, notions, batting and more at unbelievably affordable prices. 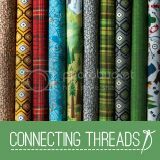 Connecting Threads is known for their high quality products at affordable prices, and your satisfaction is always guaranteed. I don't have any plans for Christmas sewing YET but I know I'll be doing some. It isn't christmas without sewing. Well, I do have a snowman snowball quilt that I never got quilted last year. This year for sure. Thanks. We'd love to give away your choice of THREE PDF patterns!!! 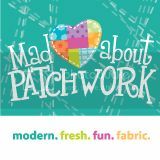 Check out our shop to see all the patterns! Table runners and coordinating trivets, pot holders and hanging tea towel sets for in laws and step parents. One Comment and you're entered into ALL three giveaways. I plan on giving a few quilts for Christmas. I want to make some gift bags too. I am not planning on any Christmas sewing this year -- I have three baby quilts to make between now and November! I have 6 grand kids and plan to make each two/three flannel PJ bottoms. I've got Weekenders to sew, stuffed animal sleeping bags, doll clothes and dolls, and a lot more I'm forgetting right now. 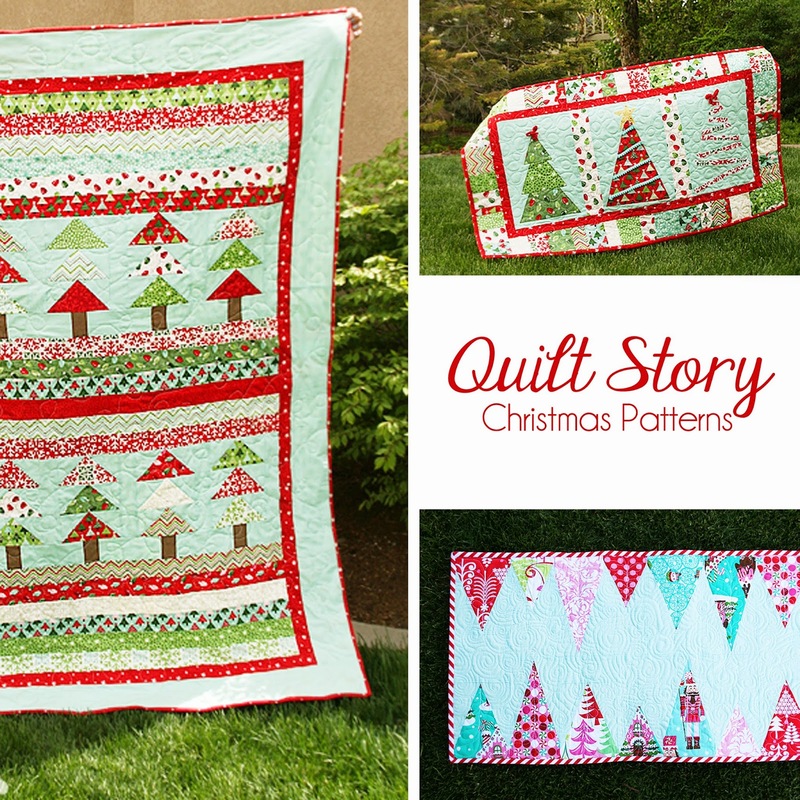 LOVE your Christmas quilt patterns, by the way! The holidays? Oh, man, they are coming, aren't they? Guess I better give that some thought. I've got two quilts planned as Christmas gifts...if I can get them done in time. Not sure... Better start planning! My brother just bought a house, I want to make a quilt for them! Ummm, lets see holiday sewing I think I will keep right on chugging along on what I'm working on now. I have zippered bags to make for several people. I started a Christmas quilt last year before Christmas! So I hope to get that one finished before this Christmas. I also plan to sew a table runner for my Mom and some stockings for my kids. Thank you! Hoping to get a couple Christmas table runners done up this year! I've already started my Christmas sewing! Soo much to do! Thank you for this opportunity. Love the Christmas patterns! 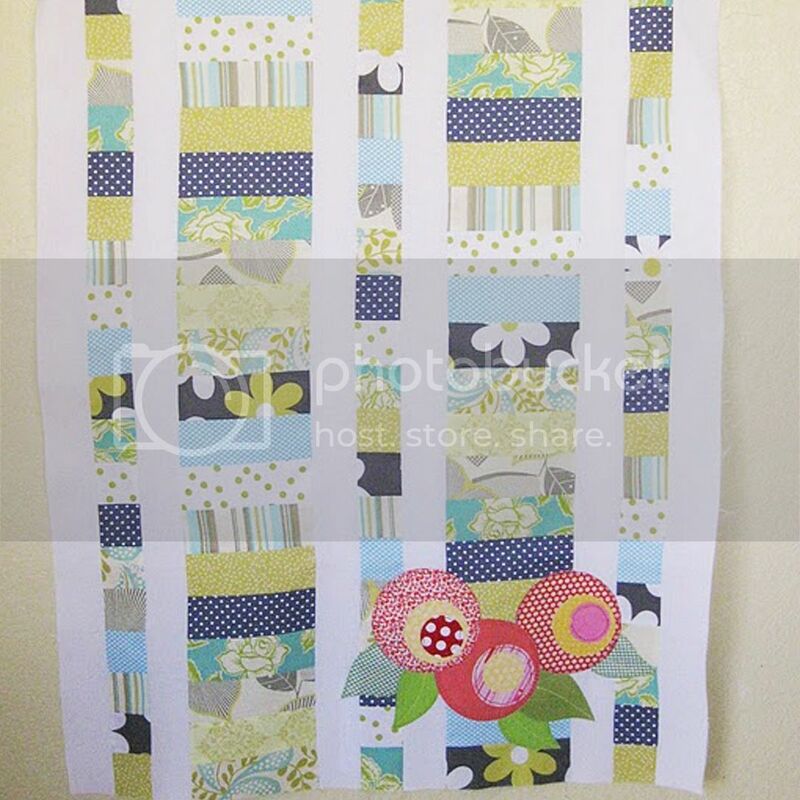 I'm planning on sewing a table runner and a few pillows...of course I want the table runner to be from your pattern! I LOVE the triangle pattern of yours. I would make it into my christmas table runner! I am making birthday blankets for my sons and my nephew. Other than that, I'm trying not to plan any holiday projects since I tend to overwhelm myself. If something comes up that I'm interested in (and have the time for! ), I'll definitely do it. 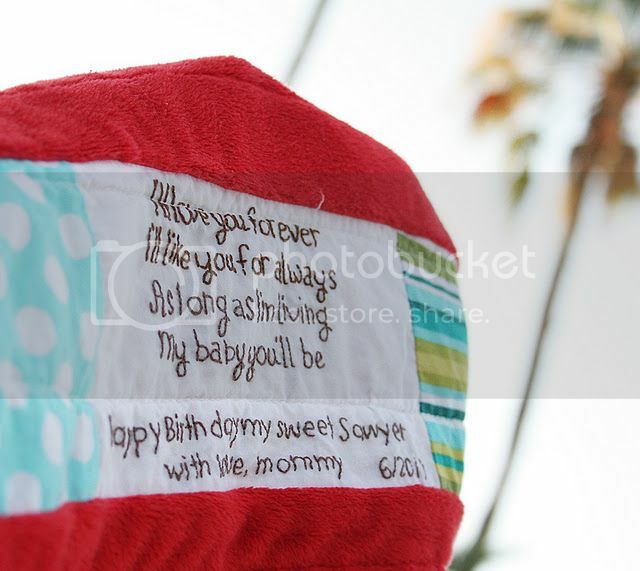 I'm not sure yet but something cute for the granddaughter! I am making some more stockings for the rest of the family. Would love to try a tree skirt, but i might not have time... We will see! I am currently working on quilts as gifts for birthday gifts that come up before Christmas. 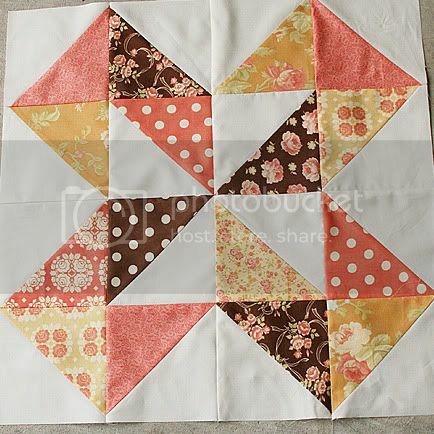 I am also looking to design and make a quilt for my brother for this Christmas. 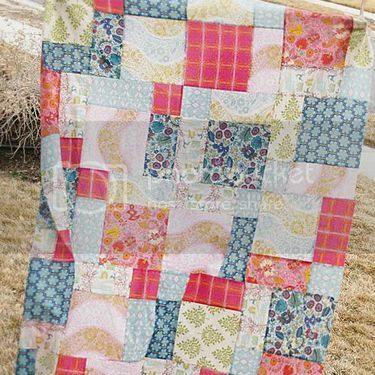 I'm hoping to make 2 quilts for my sisters for Christmas! I hardly ever sew gifts for the holidays any more. Too much stress. I dont' know yet, but something my mum will love! I love those batiks and I am always looking for new patterns. I am planning to FINALLY get the wall hanging quilted that I bought several years at a going-out-of-business sale at a quilt shop at the beach. Hopefully, it will hang on my front door in all it's glory! Thanks for the opportunity. I hope I am a lucky winner. I am making two flannel rag quilts to be given as Christmas gifts, and I would also like to make a new Christmas table cloth and curtains in time for the holidays. Thanks! I have 2 quillows for my Brothers girls that I plan to finish! Wish me luck!! I have some wristlets and a baby quilt I need to finish up for the holidays! These are all awesome giveaways! I love the patterns and the batiks are gorgeous. To win any one of these would make me happy! I hope to do table runners for everyone on my list. Last year I decided I have so much holiday fabric, I will make quilts for my three siblings, my parents, and the married niece and nephew. I will be working on those quilts, but do not expect them to be finished for this years' giving. It is just a lot of fun to work on seasonal quilts! Oh dear - I haven't even thought about Christmas yet!! That's a tough one! So far I don't have any sewing planned... But I'm sure something will come up in the next few months. I'm making quilted Liberty makeup bags for Momma and Seester. Love the Christmas tree table runner -- great colors! I'm planning to make some personalised Christmas stockings for my kids! Assuming you mean Christmas holidays, I will be snuggling under my first quilt for ME! It is my "ugly xmas sweater" quilt made with ugly fabrics. Can. not. wait. Christmas Stockings for me too! I always have a lot planned for holiday sewing. I want to make a few new table runners and maybe a Christmas quilt or just some small gifts. Guess I should make up a list of what I want to make since it is so close. Quilts and holiday gifts I would love to get done. What a nice giveaway. I don't tend to get excited about "the holidays" but I do have some WIPs on my list. Once soccer season is over, I'll have much more sewing time! I make ornaments to give away to friends and family. I take turns giving special people a larger gift. I do not have any decorating sewing plans currently, but I do have gifts for kids in need sewing on my to do list. I am going to make zipper pouches for the girls. I need ideas for my 6 grandsons. 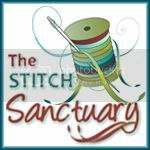 I'm in a few swaps on IG, so I'll have that to sew. Then there are a few little family stocking stuffers and two quilts I need to finish! How fun is this? Three contests! Thanks! I plan to make a Christmas table runner and a tree skirt. Would love to make a new holiday table runner! 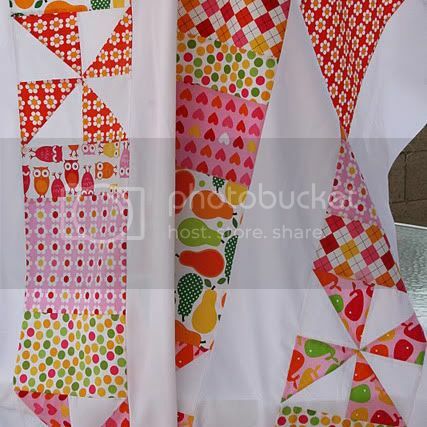 It looks like one of your patterns might be perfect for that project! 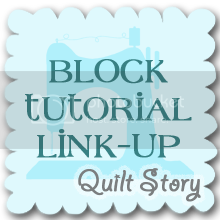 As always, I have annual quilts to make for each of my two granddaughters, plus I found a great quilted wreath wall hanging that I want to make to hang in my front door's window instead of a traditional wreath this year! I'm making my granddaughter a Christmas quilt and making my sisters some phone cases. Thanks for the chance to win! I'm planning on finishing some projects. Thanks for the lovely giveaways. 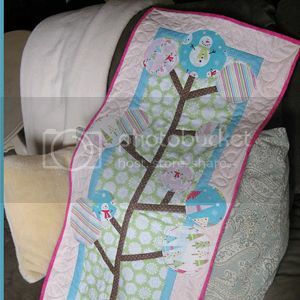 I'm planning on making a Christmas Tree skirt and a stocking for my baby grand-daughter. I plan on making holiday table runners for my siblings. I have the fabric so I just need to pick patterns. I always have projects on the go, holidays or no holidays! However this year I'm knitting scarves and an afghan and making a lap quilt as Christmas gifts. As to what I'll be working on over the holidays...that remains to be seen. Something, though, you can count on it! Have a Happy Weekend! It's 95 here so hard to think Christmas. 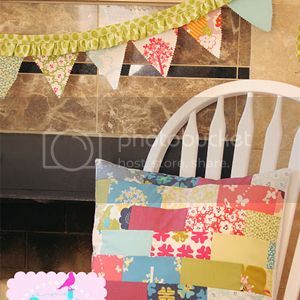 I probably will make some simple Table runners and potholders. I'm going to make a bag for my daughter and then start on the Christmas projects. Better start early this year! I have already started on my holiday sewing. I am currently making a new tree skirt for myself and a quilt for my youngest son. I know that I will be adding a lot more fun things to this list. Thanks for the giveaway. 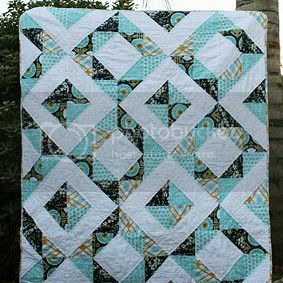 I need to get 5 tops quilted for gifts and need to make a baby quilt for a great niece/nephew due in November. this is unreal!! So ,any of us doing quilts for Christmas....I have 5 it get machine quilted this year. I have some quilts in progress that are for relatives. I would love to get them done and gifted. Thanks for the giveaway! I always make some pillow cases for the niece and nephews. 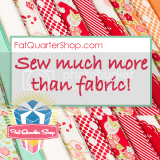 There might be a few quilts too! I have small projects planned for the holidays, nothing big and trying to finish all the ones that I haven't done yet would be a good start!! I am currently working on a Halloween wall hanging. I am going to make lap quilts for Christmas gifts. I have so much sewing I need to get done! Tricky with 2 littles!! I really need to get started on a quilt for my sister's christmas present. Other than that, I have tons of non-holiday sewing to do! 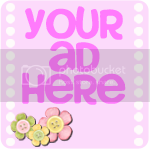 I plan on making a few smaller items like table runners or cosmetic bags for gifts. 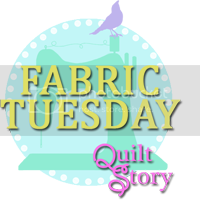 I plan on taking a free motion quilting class just before Christmas. If all works well, I will finish up some WIP's that will be given for Christmas gifts. Thanks for the chance to win you fabulous giveaway. Granddaughters get "Frozen" flannel PJ bottoms! So far, I think all of my Christmas plans include knitting or cross-stitching, but no sewing. I'll probably grow more ambitious as the deadline gets closer :D.
I'm planning my first ever holiday quilt for my aunt! My mom has asked for some table runners, so I hope to make one for each season. I plan on sewing up gift bags with fat quarters very soon. I'd love to have a stock of these for "wrapping" gifts instead of gift wrap that is thrown away. Quilted mittens!!! Farmers almanac is saying we are in for a rough one! I have a pattern for a Christmas quilt that I plan on finally making this year. 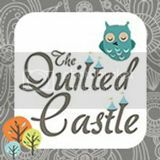 I'm planning on quilts and table runners for family and friends for the holidays. I just sent 6 quilts to my quilter! They are all going to be gifts for my family! Every year I make "plans" to make some decorative stockings (no kids around anymore!) and a nice table topper and an advent calender....so far... haven't been able to make any of them! I just don't get why I can't get them done other than I don't find any patterns or styles that I like! I have christmas quilts to make for family members to give away at our annual family gathering. I have a quilt for my mom and several bags for my daughters to make. I also need to finish the quilt I started for my son! Whoops! I'm planning on making some Christmas table runners for my 3 daughters with the Christmas fabrics I've been acquiring for a couple months from Estate Sales. I just bought a pattern with embroidery snowmen that I hope to get done. I thought not only will it work for Christmas, but also during the winter months. I always have BIG plans for Christmas quilting, but don't often get them done! 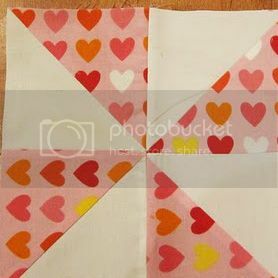 I'm making a quilt for my hubby right now for Christmas. What a great giveaway! Thanks. I am sewing Pajamas with a matching pillow case for all the grandchildren and Aprons for the adults. Some adults may get the matching PJs/pillowcases be caused they whined a bit when I first said it was for the kids. Oh, where to begin? I hope to finish up a Halloween quilt and Christmas quilt that I started last year, and I'm hoping to make table runners with cute new charm packs I've bought. If I start now, maybe I'll get everything done by Christmas! Thanks for the chance to win - great give aways! I have few quilts to put together for the holidays! thanks for the chance! I'm making table runners for the upcoming fall/winter holidays! So many plans and so little time! 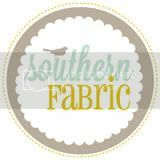 Need to make some table runners, a tree skirt, and a wall hanging! Thanks for a chance to win a great giveaway!! Probably nothing specifically for gifts. I'll come up with a few ideas of things to make to sell at a bazaar. My WIP pile is getting a bit high! If I finish some of these projects, that would be great gifts for christmas! 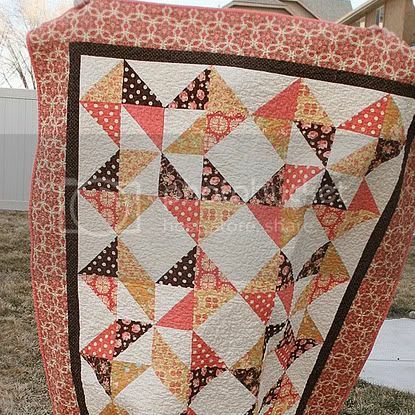 I want to quilt a holiday quilt I pieced last year and didn't get quilted before the rush. Hope to enjoy this year. A few small gifts such as mug rugs and zipper pouches and some knitting. Keeping it manageable. Enter me! Enter me! I especially love Connecting Threads! I have a stocking to make. A holiday quilt would be just be fun! Three quilts to round out a group gift for my dear friend's grandchildren, a wallhanging for my sweetheart, and a bunch of table runners. 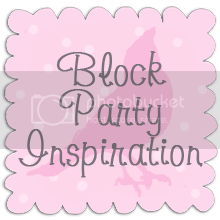 So why am I reading blogs instead of sitting at my sewing machine?! I'll be starting my Christmas sewing a little late as I MUST finish a quilt for my granddaughters wedding gift. BUT THEN... I will make a quilt for our community holiday raffle.Then some smaller things..Mug rugs, place mats, table runners..may even get some ornaments done. 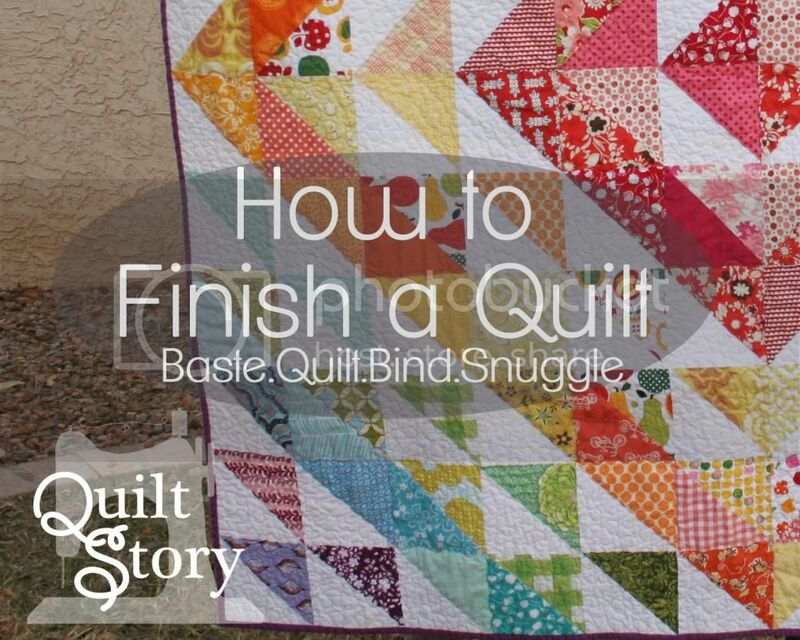 I would love to make as many quiltie gifts for Christmas as I can between now and Dec. 25. tks for your giveaway. My second grandchild (first grandson) is arriving in December - need lots of quilts for him. Just found out today that we will have a third grandchild next spring. 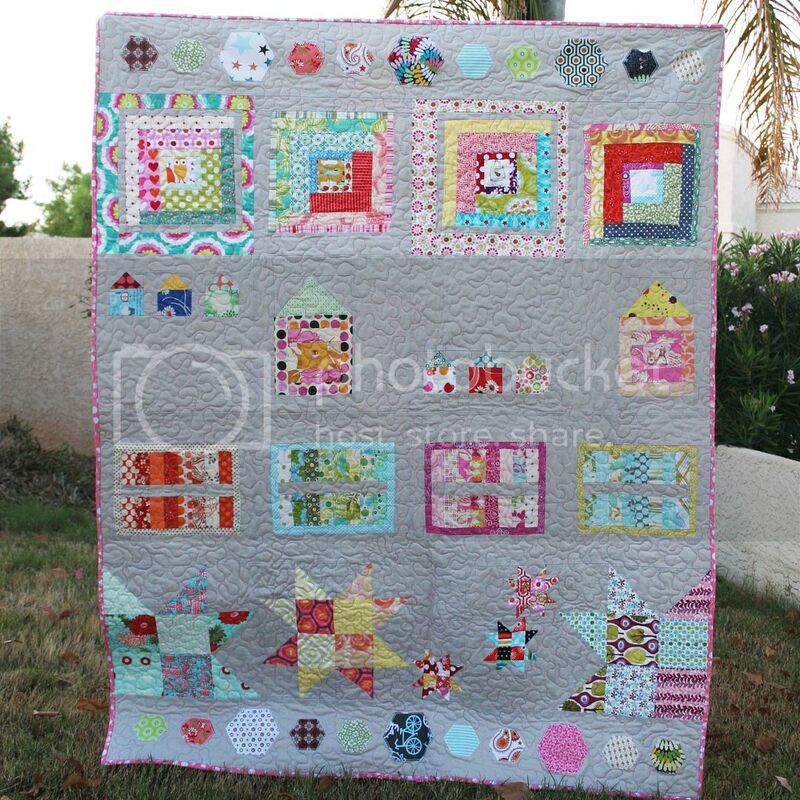 My girls have requested "momma quilts" for Christmas. I love that they want quilts that I made...it was their first wish before american girl stuff! I always make new Jamma"s for the Kiddo's...and now we have a few Grankiddo's added to the Jamma list! lol Am also making two Appliqued Wallhangings for gifts. Who knows. Might make a quilt for the married son who hasnt gotten one yet. many many plans and too little time to do them! mostly xmas presents! Oh, gee whiz. I need to get myself in gear and make a tree skirt and a table runner. Holiday dresses for my two (under 2) granddaughters! Can't wait!